The best option will depend on where you are staying, the number of journeys you wish to make, and the number of people travelling. The Multi Card is a non-personal prepaid contactless public transport card. It may be used for different persons and different trips (i.e., several people may share the same card). The Multi Card is on sale at the price of 2.50 euro (If the first charge of Multi Card is a Tourist Ticket, the Multi Card sale-price will be included in the price of the Tourist Ticket). 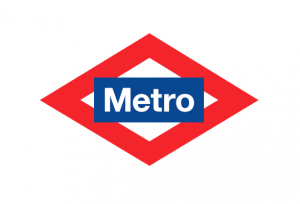 Automatic ticket machines of Metro de Madrid and Light Rail. 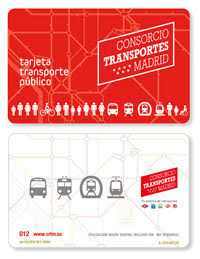 Once you have a new one it can be charged with different types of tickets (https://www.crtm.es/billetes-y-tarifas/tarjeta-multi/titulos-que-puedes-cargar.aspx?lang=en). Trips from 6 to 9 stations:Additional 0,10 € per station. It is only valid for one person and offer unlimited use of public transport for a specified period. If the first charge of Multi Card is a Tourist Ticket, the Multi Card sale-price will be included in the price of the Tourist Ticket. These tickets are valid from the time of their first use and for the calendar consecutive days included in the selected ticket. 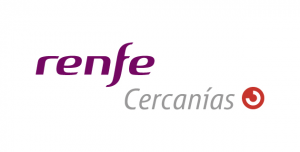 Tourist tickets can be aquired at the airport and charged also at the authomatic machines installed at the Madrid suburban railway. *In automatic machines, you select the destination and the number of stations, being calculated automatically the price of the shortest route available. All types of tickets (single tickets, roundtrip tickets and Bonotren tickets) may be bought in the ticket windows and automatic machines of the Suburban Rail network stations. There are several options for doing so. Pick whichever works best for you, your budget and schedule. Direct connection between Atocha (or Plaza de Cibeles at night) and Barajas Airport, 24 hours a day 365 days a year. Buses every 15-20 minutes (day time service) and every 35 minutes (night time service).Journey times: Atocha-Terminal 1 (T1): 30 mins. | Atocha-Terminal 2 (T2): 35 mins. | Atocha-Terminal 4 (T4): 40 mins. Take line 8 (the pink line), which starts at Nuevos Ministerios to T2 and T4 at the airport. Be aware that there is a special airport fare for the metro, so tickets have a supplement of €3 (unless you have a Tourist Ticket in your Multi Card). You can take C1 or C10 lines (both stop at Nuevos Ministerios). Note that the trains only stops at terminal 4, so you’ll need to take the airport shuttle bus from there to get to any of the other terminals. Estación de Nuevos Ministerios – Aeropuerto T4: 22 minutes. All terminals have clearly signed taxi ranks outside the arrivals area. Official taxis are white with a red stripe and have the Madrid City Council coat-of-arms on their doors. To take a taxi you must go to the appropriate taxi rank. Avoid people who offer taxi services inside the terminals. Make sure that the taxi driver starts the meter at the beginning of the journey (minimum fare). Ask for a receipt in the event of a complaint. 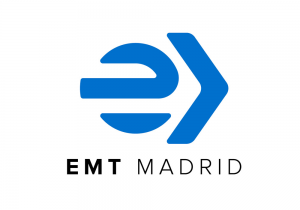 Assuming you will be staying in the inner part of city, the taxi will cost €30 from and to the airport (This includes AEMET site and Nuevos Ministerios building). No supplements can be added to this flat rate fare. A free shuttle bus service called “Transit Bus” (Bus Tránsito) connects with each other the airport terminals: T1, T2, T3 and T4.